Hey Patrons! Wednesday's page is up early for you, as is the a preview of the postcard design I'm thinking I want to send you! Haven't heard about the postcards? Email me (warofwinds@gmail.com) your mailing address by Dec 1, and I'll send you one with some original art! 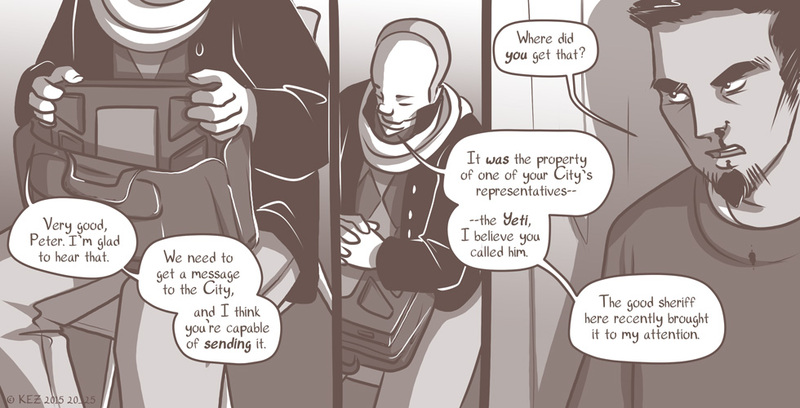 It's the final week for introducing the new batch of SpiderForest comics! Out of My Element: Air-headed (more like, air-spirited) minor noble Jill gets drawn into an underground revolution against the Elementals currently running things--and into a romance with one of the generals in charge. TDUGN (The Drako Universe Graphic Novel): a strange little girl shows up on the doorsteps of the leaders of the Draga Empire--but is she the innocent she claims? Castoff: Poor Vector with his glowing eyes and his pointy ears just wants to be accepted by the humans around him. But when he matches the description of a wanted criminal, the poor kid will clearly get drawn into a bigger adventure than what he wanted. Catch you WEDNESDAY with the next page!